Scene of a fatal accident on I-880 in Hayward (July 31, 2016). 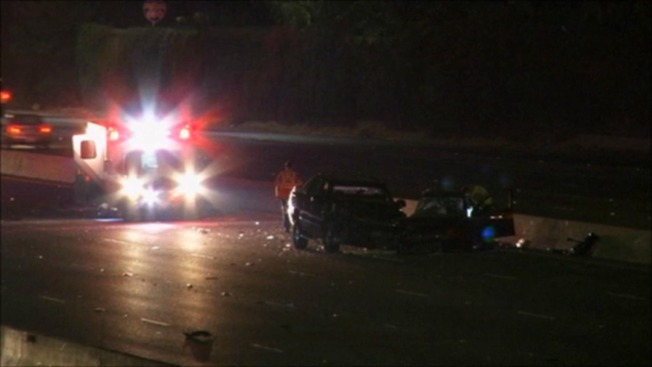 At least one person died early Sunday morning after a solo vehicle accident on southbound Interstate Highway 880 in Hayward, according to the California Highway Patrol. The incident was first reported at 3:49 a.m. on the highway, just north of Winton Avenue, according to the CHP. A vehicle had spun out and was blocking two lanes on the highway, CHP officials said. The CHP issued a Sig-alert for the area. At least two lanes remain closed, and no time was given for when the lanes would reopen, CHP officials said.